Could Bonnie Bennett be dead? That was a key question on The Vampire Diaries Season 8 Episode 15 when the bell from hell apparently killed our favorite psychic/witch. TV Fanatics Justin Carreiro, Mandy Treccia and Paul Dailly, discuss the wedding, Bonnie's fate and what's to come in the series finale. What did you think of the Steroline wedding? Justin: The design of the wedding and the hall looked beautiful. I liked all the lights at the party. Though, it felt a bit awkward and anticlimactic. I was expecting a grander ceremony and moment, but it seemed sweet. Mandy: I loved it. They did a lovely job paying homage to their relationship. The friendship that slowly turned to love, or in Caroline's case, the unrequited crush, which turned to love. The ceremony was beautiful, but the dance they shared was even better. Dancing always been their thing. Paul: I loved it. It was the best they could do when you consider the time they had to put it all together. 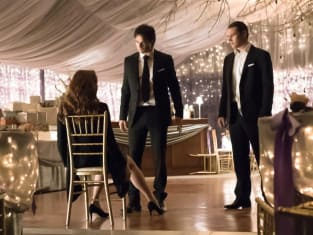 I was so sure Caroline was going to die during the nuptials. 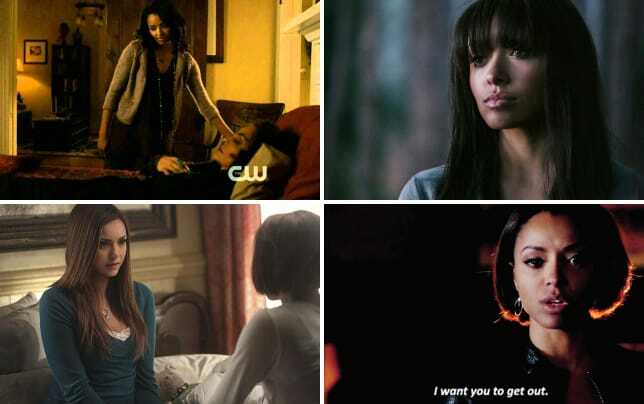 What will become of Bonnie Bennett? Justin: As much as I want her to survive, I have a feeling she will die. She will get her happy ending and be with Enzo in the afterlife. Mandy: Bonnie needs to live. I assume she died, and that will trigger Elena waking up, but then they'll revive her. I'm still holding out her happy ending with Enzo will be in this world rather than the next. There have been so many loopholes over the years. If anyone deserves one more, it's Bonnie. Paul: I think she'll survive. It will be a slap in the face to the fans if they take her out like this. It would be so predictable to have her die like that. If she was going to die, she should have in the fire. What did you think of all the returns? Justin: I liked seeing all these familiar faces. Some of these characters haven't been mainstays since the first season. Vicki and Mrs. Donovan appearing was so nostalgic. Mandy: I've never been a huge Matt fan so his family was not at the top of my "Must Return" list. But I liked that they tried to fool us into thinking Vicki was Katherine. Melinda Clarke is fabulous, but Kelly Donovan returning out of the blue, from the dead, was just too weird for me. Paul: I accidentally read spoilers weeks ago and scoffed at them because I thought they were ludicrous. It turns out, they were right. I've never been a huge fan of Vicki, but the show is throwing it all the way back to the start for these final episodes. Could Mystic Falls be destroyed? Justin: Knowing Katherine is the one plotting, I wouldn't be surprised if she finds a way to make it happen. Though, my prediction is that the town will be fine. Some of it may be destroyed, or some people will die, but the town overall will make it through. Mandy: No. I agree with Justin. More people will die, the dead ones will return to where they came from, but in the end, Mystic Falls will survive. I think the show will end on a hopeful note for most of the characters. Paul: Somehow, I think they'll keep it intact after the series ends. Maybe they'll manage to put some cloaking spell over the town to keep supernatural forces out, but aside from that, it will be fine. What do you think will happen in the series finale? Justin: Katherine will be stopped and sent back to hell. I think Matt will die; his family and history are playing a part this season, so his story will be wrapped up. I have a feeling a few others will die as well. Mandy: Elena will return, and she and Damon will get their happy ending. But first, they'll have to take down Katherine. That's the part I'm most looking forward to. Stefan will die, which I am not looking forward to, and I think they'll do a few time jumps to show the characters going on with their lives after the big battle. Paul: I think Stefan will be the one to die and in doing so, he'll sacrifice himself for everyone else. 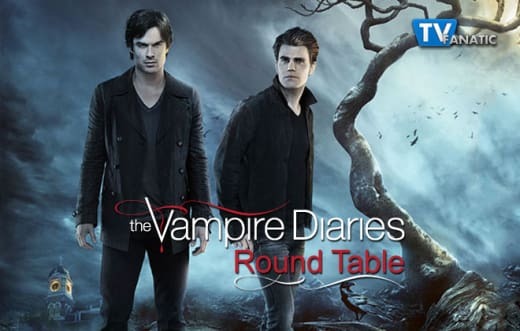 The Vampire Diaries: 15 Best Episodes... RANKED! Who do you want to show up in the last-ever episode of The Vampire Diaries? Justin: I hope we get to see Jeremy, Aunt Jenna, Lexie and some of the Originals. Crossing my fingers! Mandy: Jeremy, Aunt Jenna, and Tyler are the ones I want most. Just because they were all original cast members. I assume we'll see at least one member of the Mikaelson family in a time jump since they're currently "dead" on The Originals. I want to see Lexie, too. Paul: All I want is for Katherine to show up with Nina Dobrev portraying her. That would make the entire episode for me. Over to you, The Vampire Diaries fanatics. Hit the comments with your take on the questions. Note: The series finale of The Vampire Diaries airs March 10 on The CW. 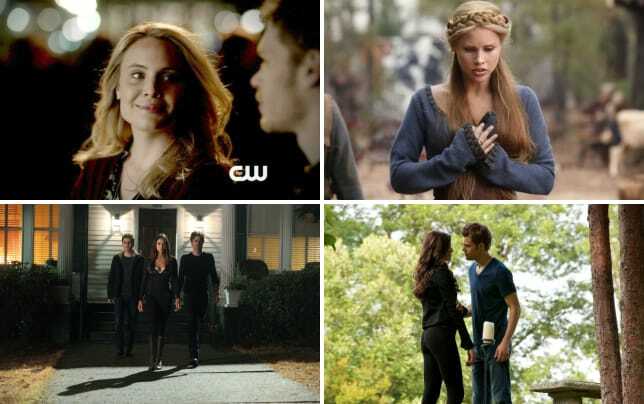 The Vampire Diaries Romances: RANKED! Alright professor, how do we get rid of the Queen of Hell? Permalink: Alright professor, how do we get rid of the Queen of Hell? Hey, are you part of my Uber pool? Permalink: Hey, are you part of my Uber pool? The Vampire Diaries Sneak Peek: Who Attends the Steroline Wedding?!? 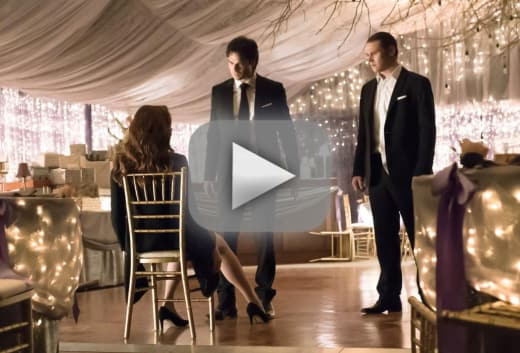 The Vampire Diaries Promo: Will Katherine Ruin the Steroline Wedding?! ?